Suzii Paynter became only the third executive coordinator of the Cooperative Baptist Fellowship in March 2013. 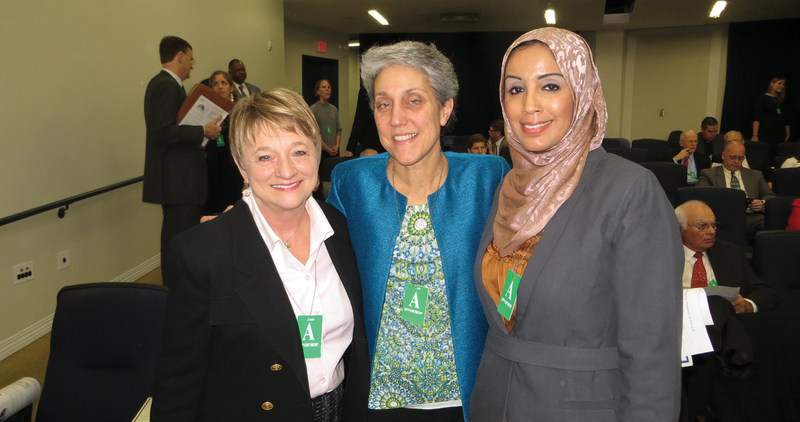 In her nearly six-year tenure, she led the Fellowship to implement recommendations of a task force created to help deepen CBF identity and propel CBF into its next 25 years. She’s been a champion of local congregations and CBF state and regional organizations. 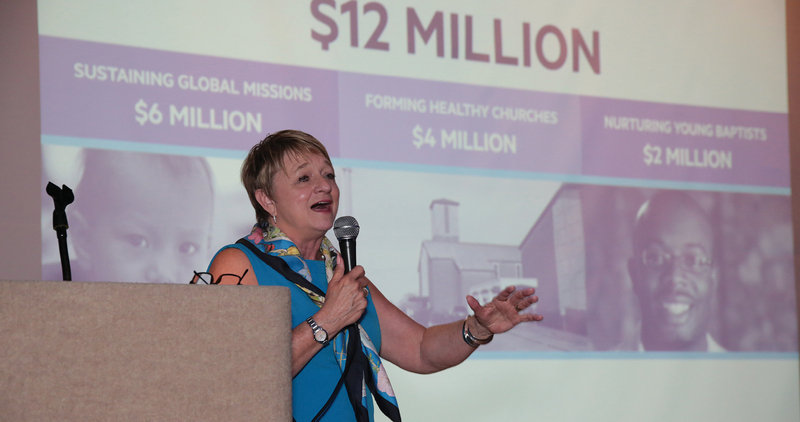 She led the Fellowship in a celebration of its 25th Anniversary, including a successful $12-million fundraising campaign and oversaw a restructure and new strategy for CBF’s Global Missions work. Suzii led CBF in the development of formal advocacy efforts as well as the creation of diversity and expansion initiatives in CBF life and recruited leaders to head them up, including the Latino Network, Fellowship Southwest, the Pan-African Koinonia and Emmanuel McCall Racial Justice and Leadership Initiative. She has encouraged, celebrated and been a catalyst for the leadership of women in ministry. 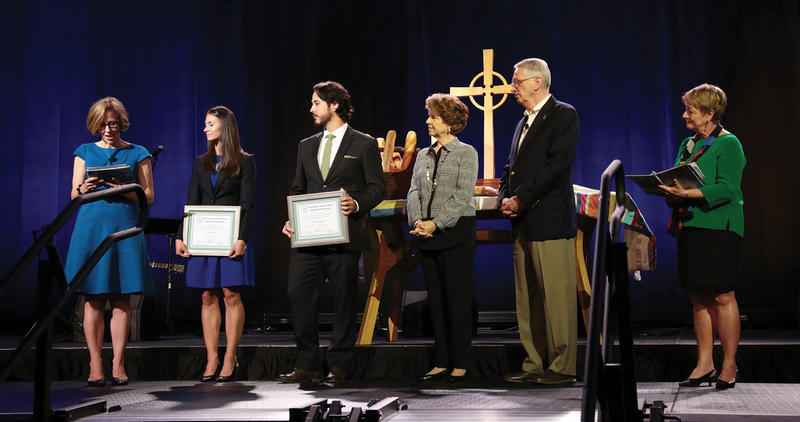 Paynter also guided CBF through a process called the Illumination Project to help Cooperative Baptists and churches choose unity over division, even among issues that have challenged many denominations. Paynter announces June 21 the launch of the Illumination Project, a process of discernment and accompaniment involving Fellowship congregational leaders to build and strengthen CBF unity through cooperation. CBF Moderator Doug Dortch names a five-member committee to guide the work of the Illumination Project in its first implementation focused on matters of human sexuality. 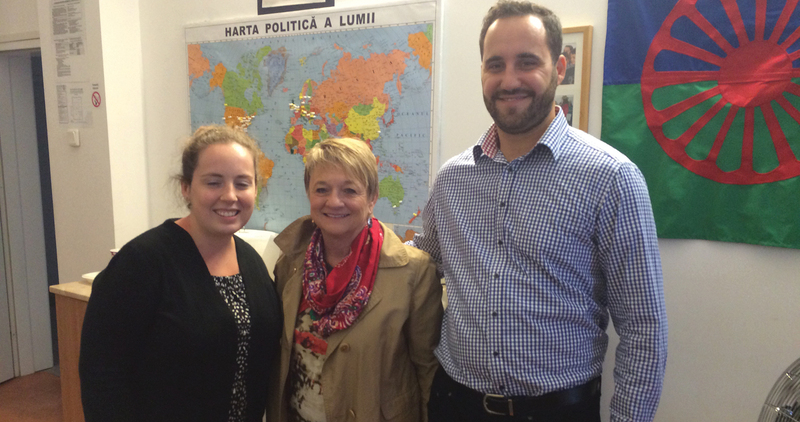 CBF affirms historic partnership with gift for disaster relief with National Baptist Convention of America International, Inc.
Paynter is pictured with Brittany Garton, a Ruth School staff member and Mihai Ciopasiu, the director of the Ruth School (right). 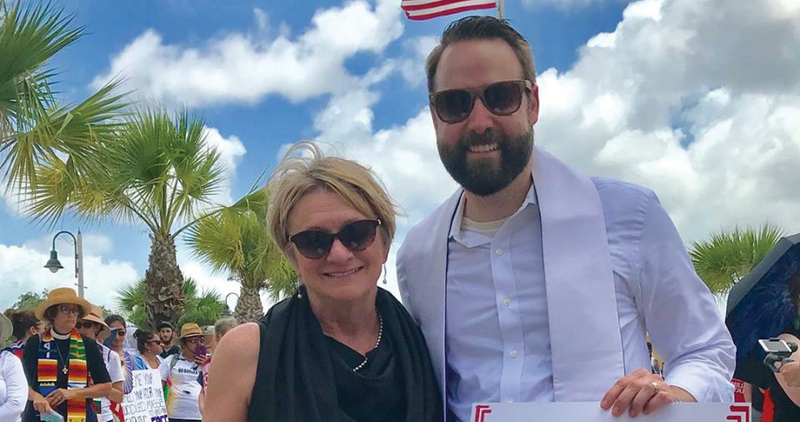 In June 2018, Paynter joined a delegation of religious leaders at the U.S.-Mexico border to stand up for immigrant families. Paynter traveled to China in October 2015 to meet with Rev. Bao Ping Kan, General Secretary of the China Christian Council. 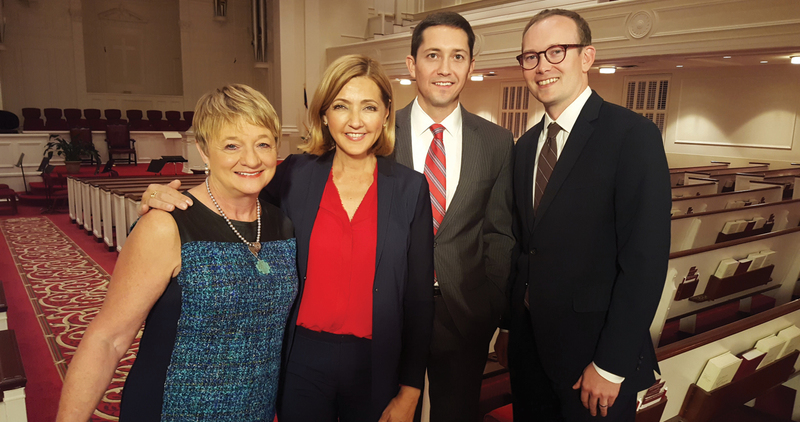 In the leadup to the 2016 presidential election, Suzii Paynter and CBF pastors Matt Sapp (center right) and Scott Dickison (far right) joined NBC’s Chris Jansing (center left) at Second Ponce de Leon Baptist Church in Atlanta for a conversation about the intersection of religion and politics. Paynter addresses the 2017 General Assembly in Atlanta. 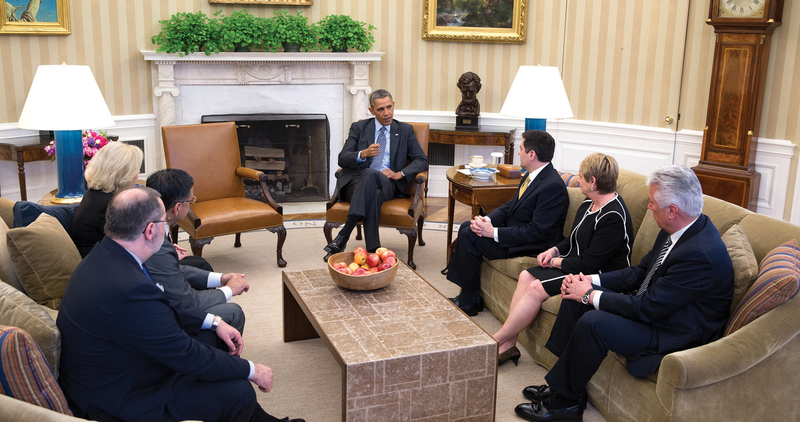 In April 2014, Suzii Paynter joined religious leaders in an Oval Office meeting with President Obama to discuss immigration policy. 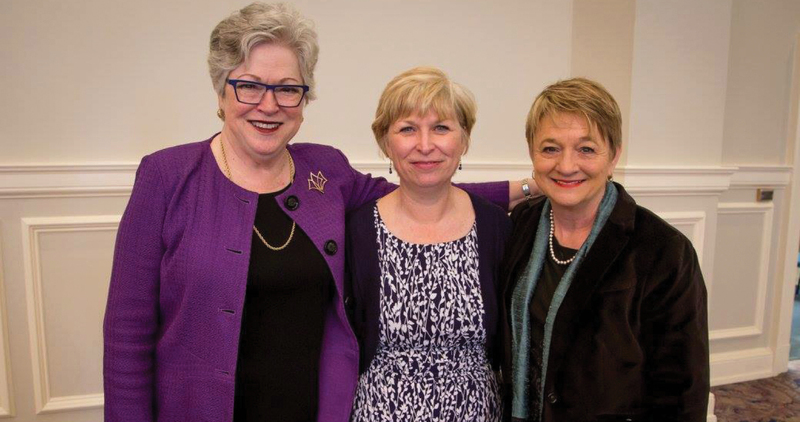 Paynter with Central Seminary President Molly Marshall and Baptist Women in Ministry Executive Director Pam Durso. 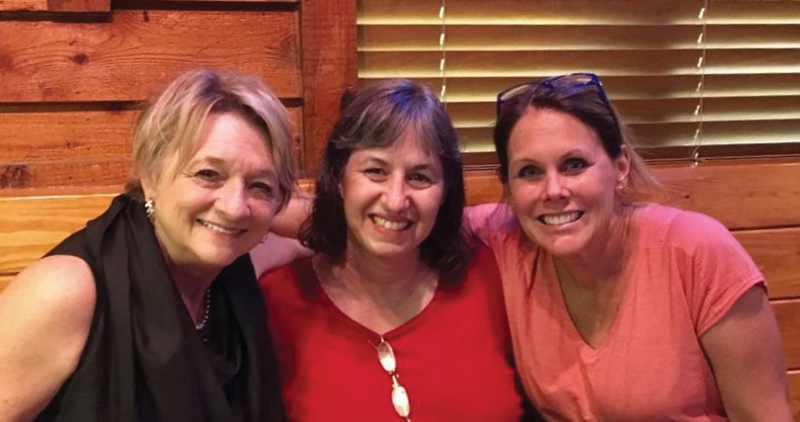 Paynter joined Nora Lozano and Jackie Baugh Moore on a trip to the U.S.-Mexico border in June 2018 to stand up for immigrant families. 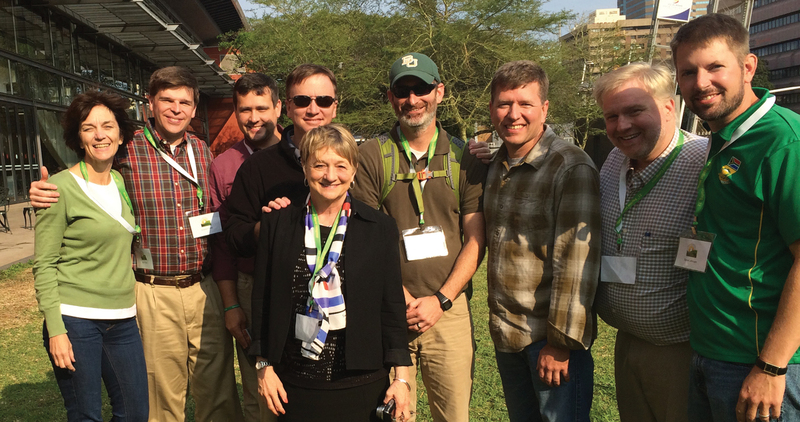 In South Africa for the 2015 meeting of the Baptist World Alliance, church leaders from CBF’s South Africa Network gather with Paynter. Suzii Paynter joined Daniel and Earlene Vestal onstage at the 2016 General Assembly to recognize the Vestal Scholars. Paynter and Babs Baugh pose for a photo together. At the 2016 General Assembly Paynter announces CBF’s 25th Anniversary Endowment Campaign. 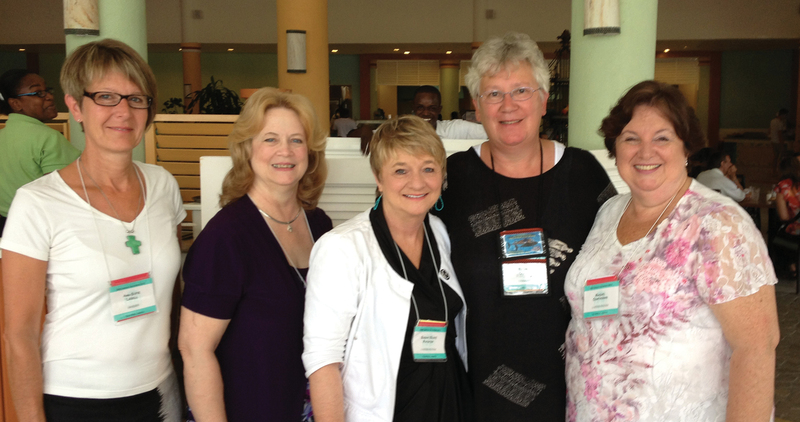 Paynter joins the women leadership of the Baptist World Alliance in July 2013. 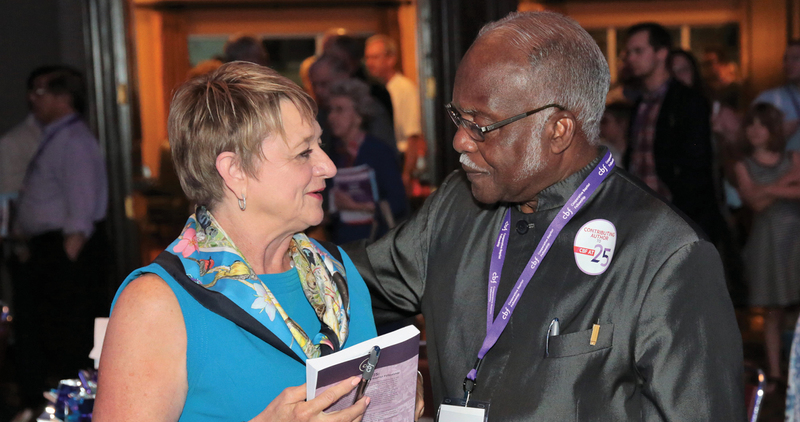 Paynter talks with former CBF Moderator Emanuel McCall at the campaign kickoff celebration in 2016. 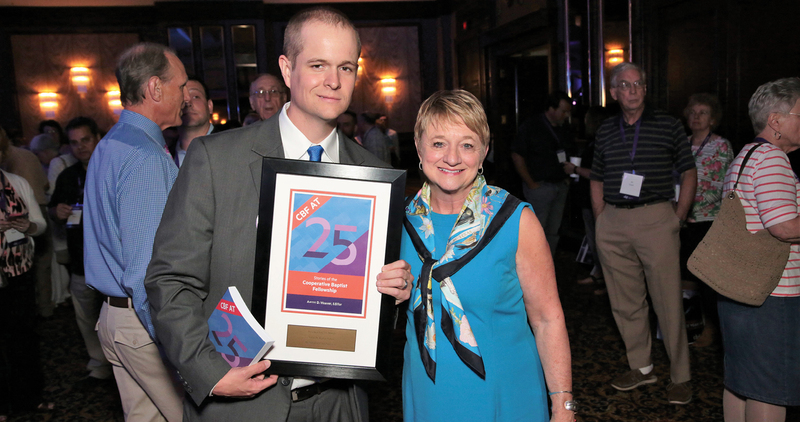 Paynter celebrates the publication of “CBF at 25: Stories of the Fellowship,” edited by Aaron Weaver. In 2013, Suzii participated in the annual All Church Challenge sponsored by Together for Hope Arkansas. Suzii Paynter voices a blessing to Pam Durso on Durso’s ordination. 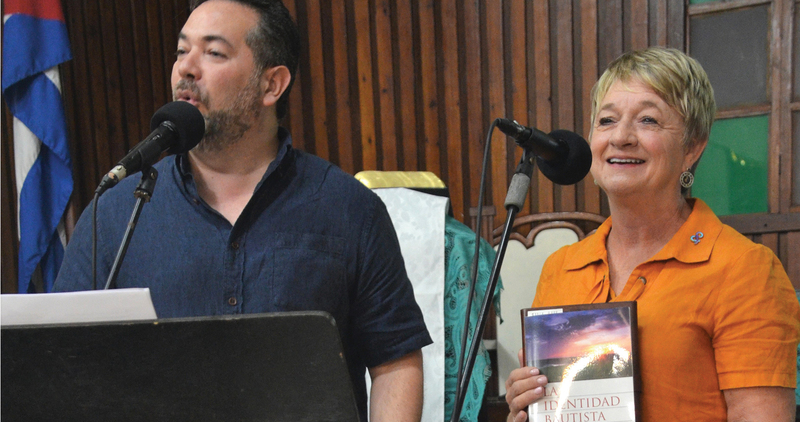 Paynter and CBF Latino Field Coordinator Ruben Ortiz present to a congregation in Cuba a copy of Walter B. Shurden’s “The Baptist Identity: Four Fragile Freedoms” translated into Spanish. 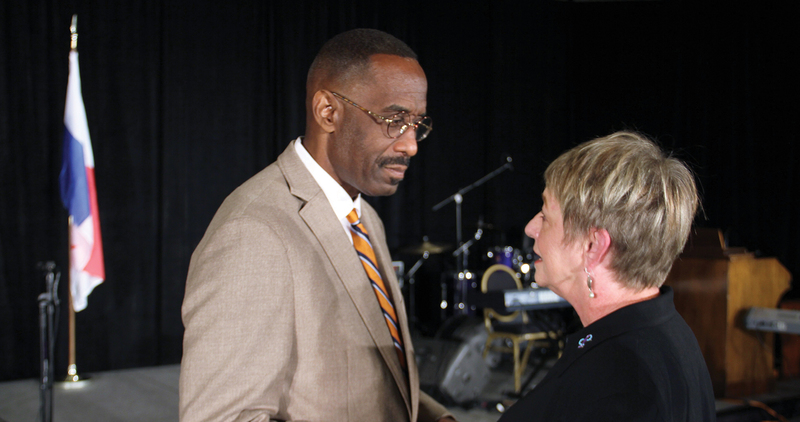 Paynter talks with Dr. Kevin Cosby, president of Simmons College of Kentucky and pastor of St. Stephen Church, in Louisville at a racial justice summit called the Angela Project. 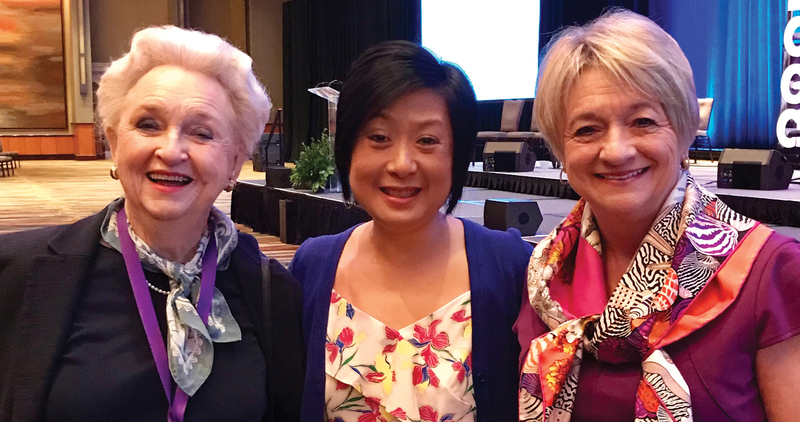 Suzii with her mom, Carolee Youngblood, and former CBF moderator Shauw Chin Capps. 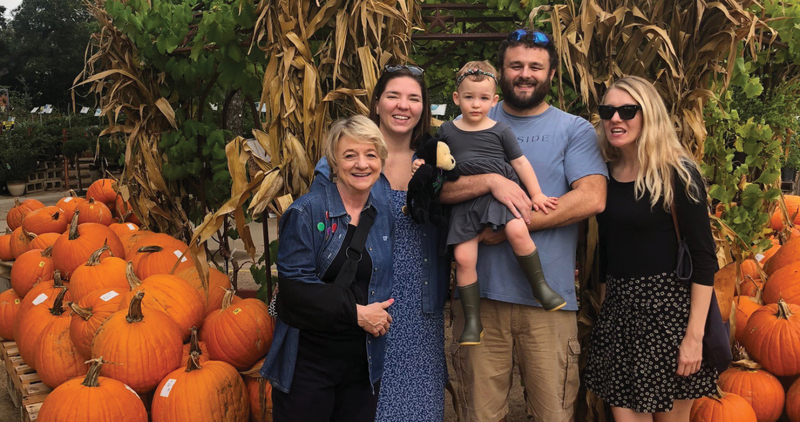 Paynter and her family in October 2018. Suzii; daughter-in-law, Kelly; son, Grayson; granddaughter, Scout; and daughter, Mary Kathryn. 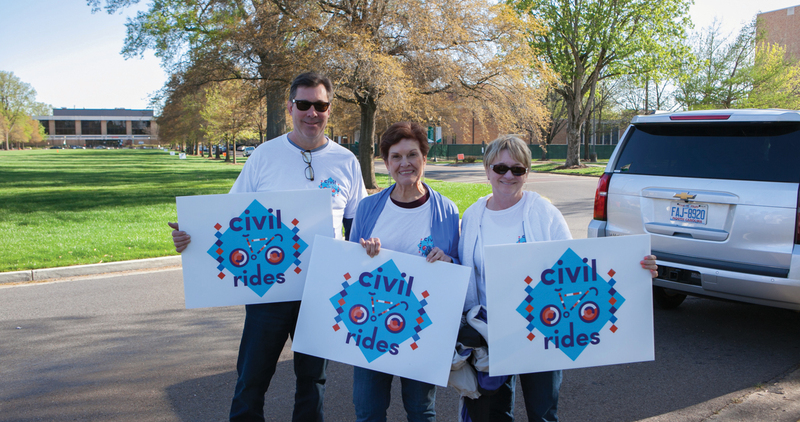 In 2018, Paynter participated in Civil Rides to raise awareness and money to support CBF’s Together for Hope rural development coalition and its work to alleviate rural poverty and promote racial justice. With her is Paul Soley and Phyllis Boozer, coordinator of Baptist Fellowship of the Northeast. 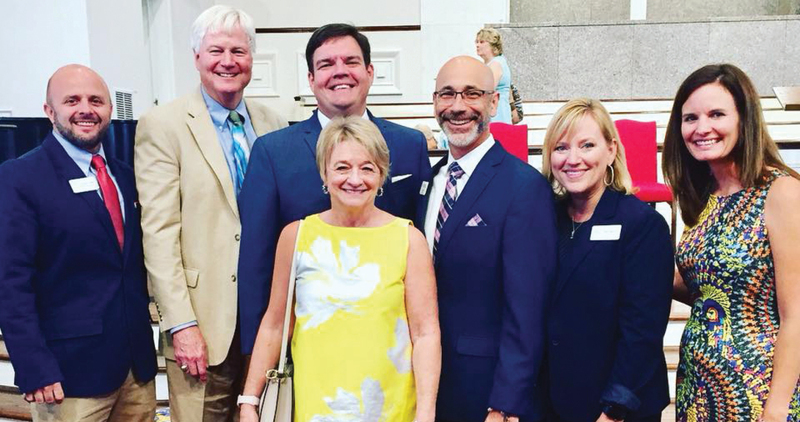 In August 2018, Suzii Paynter attended a presentation by Dr. Ruby Payne at First Baptist Rome, Ga. With her were Jason Coker, CBF Mississippi and CBF Together for Hope; Harry Rowland, CBF; Jody Long, Georgia CBF; Jay Kieve, CBF South Carolina; Terri Byrd, Alabama CBF; and Katie Sciba, former CBF Governing Board member. 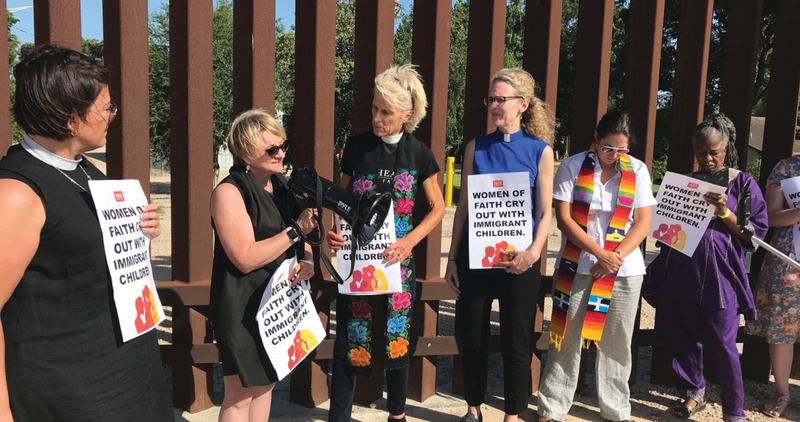 Paynter joined religious leaders along the U.S.-Mexico border to stand up for immigrant families who were being separated by border enforcement. Suzii Paynter has a deep faith and commitment to justice. Under her leadership, the Cooperative Baptist Fellowship has been a strong partner to Bread for the World and others in advocacy to end hunger and poverty—notably through the Fellowship’s annual program of bringing leaders from across the denomination to Capitol Hill to lobby their members of Congress on issues that affect people suffering from hunger and poverty. Through the years, the Fellowship has trained a cadre of clergy and lay leaders to champion legislative advocacy in their churches and communities. I am grateful for Suzii’s leadership, and congratulate her as she transitions into a new role. 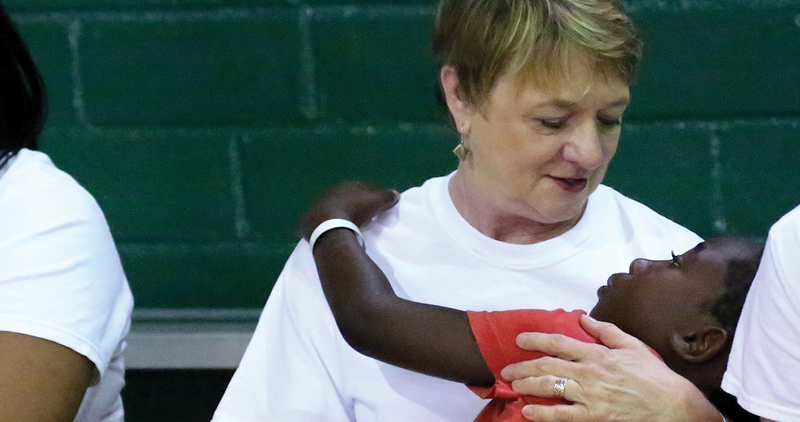 Suzii Paynter has served as a humble leader with an unrelenting Gospel commitment to the least of these. On our travels with distinguished Christians to Malawi, Tanzania and Zambia I learned to appreciate her heart for Christ and people. We are richer for knowing her and experiencing her leadership. On behalf of my family and the board of The National Latino Evangelical Coalition, we pray God’s blessings on your continued journey and give thanksgiving for your faithful service. With lively spiritual imagination and indefatigable effort, Suzii Paynter has positioned CBF as a leading Baptist voice in the global context. Her passion for the poor, her defense of religious liberty, and her advocacy for more just policies have infused the CBF ethos with hope and relevance. I especially appreciate her vision that schools for theological education are a treasure to this Baptist movement. Suzii: We three sat on the back porch. We two urged CBF on you. First woman. First layperson. But it was mostly talent, aptitude, and gifts we saw. Look at you now! We were geniuses! I first met Suzii in Austin, Texas, where she helped organize one of our first immigration reform events with faith, law enforcement and business leaders in Texas. Since I have known Suzii, she has been a tireless advocate for the marginalized and vulnerable, including immigrants. She has been a key voice in the movement, helping faith leaders engage on this important topic. On behalf of the National Immigration Forum, all the best in your retirement! 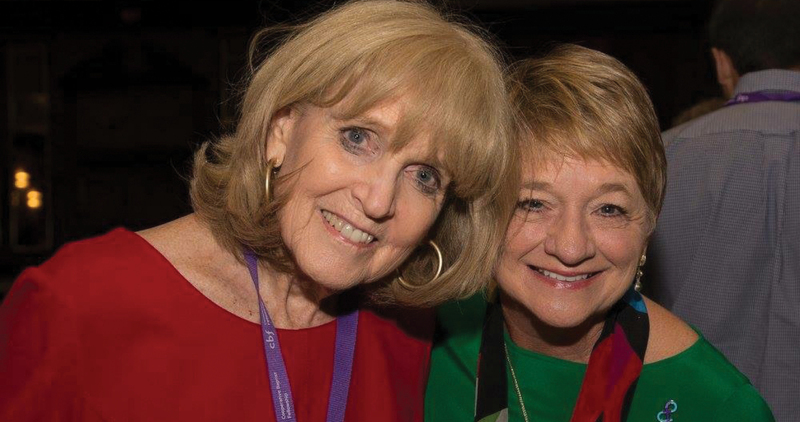 I am honored to have known Suzii Paynter for over 40 years, beginning when we met in Louisville in the 1970s. From that time to this, her energy, insights, and leadership throughout Baptist life have impressed me in multiple ways and circumstances. 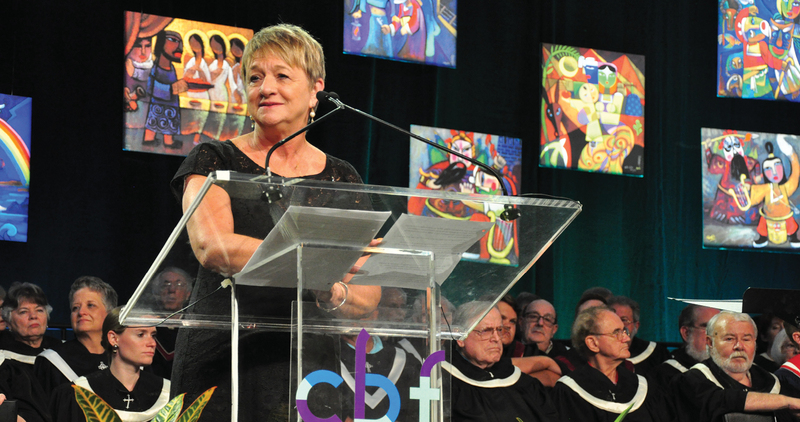 In her leadership of the Texas Baptist Christian Life Commission, she mirrored the courage, enthusiasm (and fun) of her predecessor, James Dunn, with concern for and commitment to Christian ethics in the church and the public square. She brought that experience and those commitments to the leadership of the Cooperative Baptist Fellowship at an important time of transition and new direction. 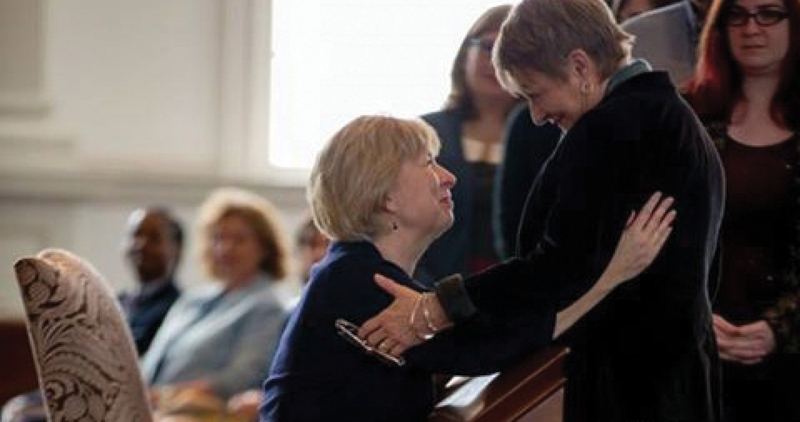 For myself, I remain grateful for her friendship, her engagement with seminarians and theological education, and her contribution to the best elements of Baptist identity and witness in a time of permanent transition in American religious life. Congratulations, Suzii. You may “retire,” but you’ll never be “retiring” in your pursuit of the Gospel. The love of Jesus pours through Suzii whether in a board meeting working on strategic plans to eliminate hunger and poverty, connecting personally on the ground with people in desperate conditions, preaching in significant conventions, or speaking truth to power in the Oval Office. I have witnessed Suzii’s humility, strength and wisdom in all these settings. She has taught me much and I have been so honored to call her friend! Suzii is a force for freedom, collaboration and positive change. Whether as a teacher, lobbyist or head of a denomi-network, she has always found a way to leverage her position to advocate for others. CBF and the broader Baptist family are stronger because of her visionary leadership, and I can’t wait to see what she does in her next phase of ministry. Suzii has been the right leader at the right time for Cooperative Baptists. During this important chapter in the life of the Fellowship, she has led with her characteristic mix of faithfulness, boldness and humility. One of the many ways in which Suzii has made a mark has been to ensure that CBF voices were heard on issues of public justice and liberty for all. Thank you, Suzii, and Godspeed. Suzii Paynter is a church leader—the kind we critically need in a time such as this. She combines prophetic leadership, pastoral care, and a deep knowledge of the meaning of faith in public life—rare leadership qualities in and among Christian leaders these days. Suzii Paynter has clearly and compelling demonstrated why issues like hunger and poverty, immigration policy, human trafficking and, centrally, racism, are matters of faith and must be addressed as such. I especially admire her leadership in creating and helping shape the New Baptist Covenant—an exciting and encouraging joint Baptist project among multi-racial Baptist denominations and churches to bring racial justice and healing to the Church and the nation. She and her co-leaders are helping us all learn what it means to repent of America’s Original Sin of racism. 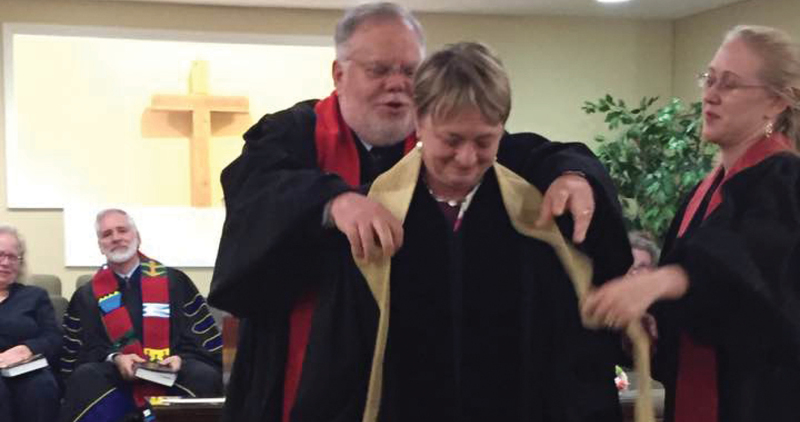 As Suzii Paynter makes her transition from the Cooperative Baptist Fellowship, we trust, need, and look forward to her next season of leadership among the people of God. Suzii Paynter has been an eloquent and passionate advocate for the gospel in all its fullness. Her gracious leadership has advanced the cause of Christ and contributed to greater cooperation within the body of Christ. On behalf of our Texas Baptist family, I write to say "Thank You" to Suzii for her years of service to our Convention leading the Christian Life Commission. Due to her effective leadership the influence and credibility of Texas Baptists was greatly enhanced and solidified with the legislative community of Texas and beyond. The BGCT wishes Suzii the best of life in the years to come. Suzii has been a creative and energetic leader whose words of wisdom and insight have given guidance to many of us. I have always appreciated the way Suzii encourages everyone and genuinely blesses us all in the love of Christ. Thank you, Suzii, for that gift, and, may your years in retirement be rich with family fun and exciting new endeavors. Suzii Paynter’s words are a powerful component of her CBF legacy. With words of support, inspiration and challenge, Paynter cast a vision for the Fellowship focused on partnership, growth, diversity and lifting the voices of others. In church pulpits and Sunday school classrooms, through statements at advocacy events and written words in news releases and fellowship! magazine, Paynter’s use of images and symbols and her descriptive language added beauty and power to our work together across the Fellowship.  My dream for CBF is for it to become the most vital, vibrant religious community in the United States and have a voice here and around the world—a voice that we’re proud of, that is reflective of our churches, that is reflective of the freedom in Christ that we experience as individual Christians. Our challenge is to let our uniqueness bind us, rather than divide. We can be alone, or we can be a Fellowship. CBF is moving from a hiring policy focused exclusively on sexuality to a policy that focuses on Jesus and His work to transform the world. We are a Fellowship, a big tent of faithful believers and autonomous, innovative churches in partnership. While we do not agree on everything, we have shown Baptists and others that we can come together in a relatively short amount of time, focus on what unites us and come of out it poised for a bright future. The strength of a fellowship is in its aspirations and the authenticity of mentors, pastoral inspiration, friendship and common purpose in mission across miles and times. The greater mission enterprise of CBF is global engagement—a reality and a precious beautiful asset for the Fellowship. Our missions are not parachute missions, but biblical, honest, holistic service that provides a platform for meaningful church engagement and sustained national ministries. This is not cheap, nor is it the kind of venture that can be run for the change leftover in your car cup-holder. As others scale back or focus exclusively on short-term missions, CBF is doubling down on its commitment to the long-term presence of missionaries. After more than two decades of Christian witness in more than 30 countries, CBF stands convinced that there are no shortcuts to making “disciples of all nations” (Mt 28:19). Whether translating the Bible into a previously unwritten language or resurrecting hope in rural America, the transformation we seek requires a patient, incarnational witness with others. The days and years ahead are beckoning us to more collaboration and a closer kinship for the transformation of our cities. We are being called to break down the barriers of privilege and blindness that keep us from the full power of the Gospel. My elevator word, not elevator speech, is that CBF is a “denomi-network.” We are not a denomination. We are interconnected. We are woven together. In a world of religious institutional and denominational decline, we are vital, we are alive, and it is not accidental. The Fellowship is faithful and intentional and we are developing. To connect in this Fellowship is to connect with the larger body of Christ. Your membership is not toward CBF, but by forming together with others in CBF, we are becoming the body of Christ. There is tremendous power in “and.” As a community of Baptist Christians, we have been ministering, missioning and living a witness to the power of “and.” There is a yearning in the spirit to join, to congregate, to gather together—to be “and.” To some degree, we as CBF have built our identity on “and”—because Cooperative Christianity is an ampersand endeavor. 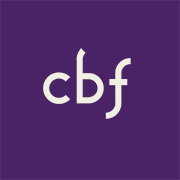 In a context of increasing religious pluralism here in the United States alongside the expanding outreach of the Global Church and world religions, CBF will invest toward diversity in our leadership and deeper, more productive ecumenical and interfaith connections. The near future calls for a public witness of common purpose for biblical justice, an amplified voice for religious liberty and the healing of racial divides. The question was laid out for the 2012 Task Force: How can we refocus and streamline organizational structures in order to provide leadership and resources for churches and other ministries to respond more effectively to global challenges? The twenty-first century is showing itself to be the century of local congregations in global mission, and CBF must enable the involvement of local congregations in global mission and remove obstacles to such engagement. Likewise, congregations must learn to overcome the fear of otherness and deeply embrace cultural differences so there is no hubris or detriment to effective mission and ministry around the world. Teamwork—that is the prevailing wish expressed in the “what if ” questions that guided our 2012 Task Force. What if we could develop a seamless cooperative community made up of a national organization, state/regional organizations and all our partners? What if we could share resources throughout the system to help one another? What if we could think about the abundance of resources instead of the scarcity? What if this seamless community could find a way to put more funds on the mission field? And what if we were known and loved far and wide for being the presence of Christ? The 2012 Task Force Report is a blueprint for identity, missions and ministry. The beginning section asks these “what if ” questions—those are questions of wishes and dreams. When I read them it sounds like we’re seeking a utopian and unattainable community. Hey, I know you and we are no utopian group! However, the difference between a wish and a dream is the power of forming something together—collaboration, cooperation, co-creating in the Spirit; humble, relentless, elegant teamwork. My passion and vision is for leadership. We were born into this time and it is asking something of us. Who are we not to answer that call? I think the most powerful things in our world—the spiritual things—are invisible, and we live in a very material world. What concerns me is that we’ve not become experts at making the invisible visible. We need to reclaim that and make visible that which is important: love, joy, peace, patience, kindness, goodness, faithfulness, gentleness, perseverance—seeing the fruit of the spirit. There are no experts in the Kingdom of God, but brothers and sisters who are at once both caretakers and caregivers, who share together and are forming together toward a new heaven and earth. Through this process of forming together, God is transforming each heart and mind. We are not loving God’s world if we are only talking about God’s world or viewing it as a commodity, however beautiful, to consume. Home begins at love. Use your imagination to experience God as Creator, invite God’s world into worship and pray by touching God’s world. Thus, we prepare ourselves for advocacy through acts of love. — September 24, 2015, address during the Coming Together on Faith and Climate Celebration at the Washington National Cathedral, Washington, D.C.
As Baptist Christians, the love of Christ compels us to stand in solidarity with our global neighbors—the oppressed, the unheard and those on the margins. As a Fellowship, our churches and field personnel stand with refugees and immigrants here in the United States and around the world, spreading hope and offering comfort in a world that all too often offers hate and fear over peace and welcome. We’re all born hungry in creation. Hunger, feeding, growing, living—this is the essence of life. In every city, in every age, we need to eat to live. Ending hunger is doable, and in the doing of it we become a better state, a better nation, a better world. In Exodus, the midwives are ordered by Pharaoh to destroy children, and they say, ‘No!’… it is not in our faith, it is not in God’s heart to separate families. Today, remember the wailing of mothers and the cries of their children. — CBF Executive Coordinator Suzii Paynter joined a group of prominent Christian women clergy June 26-28, 2018, in cities along the U.S.-Mexico border to advocate on behalf of families who have been separated due to the “zero tolerance” immigration policy of the Trump Administration.